Japan's Toshiba Corp is prioritizing talks with Western Digital to sell its memory chip business, as negotiations with a previously preferred bidder have stalled, the Nikkei business daily reported on Wednesday. Shares in the conglomerate, which is scrambling to sell its flash memory unit for around $18 billion to cover losses from its bankrupt U.S. nuclear business Westinghouse, rose 4.6 percent to 316 yen by the end of morning trade as the report lifted hopes of an imminent deal. In June, Toshiba picked a consortium including Japanese government-backed funds, private equity firm Bain Capital and South Korean chip maker SK Hynix as the preferred bidder for the prized unit. But the talks stalled after Western Digital, a partner in Toshiba's main chip plant, took Toshiba to court, arguing it needs to consent to a sale. 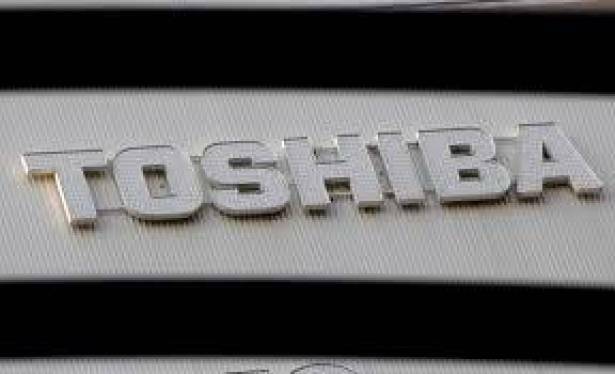 A subsequent legal battle between the two companies unnerved the state-backed funds, which demanded that Toshiba resolve the conflict before the sale. Sources previously told Reuters that Toshiba had begun talks with Western Digital as well as Taiwan's Foxconn, whose official name is Hon Hai Precision Industry Co, in an attempt to revive the stalled auction process. The Nikkei, without citing sources, said Toshiba CEO Satoshi Tsunakawa told lenders that it would focus on negotiating with Western Digital with the aim of agreeing to a deal by the end of the month. A Toshiba spokesman declined to comment on the Nikkei report.Sources have said Western Digital was offering around 2 trillion yen ($18 billion) and would form an alliance with U.S. private equity firm KKR & Co as well as the two Japanese government funds that are part of the preferred bidder group. Western Digital plans to initially invest in the chip unit through debt financing and eventually take a stake of less than 20 percent, the sources said, requesting anonymity because they were not authorized to speak with media. The sources have also said a deal could be difficult, however, as Toshiba's chips business executives were wary of a deal with the U.S. company given the animosity between the two groups. Ties between the two companies soured quickly after Western Digital bought SanDisk, Toshiba's memory chip business partner for 17 years, in May last year as they failed to agree on terms of a new joint venture contract. Toshiba wants to close the sale by the end of the fiscal year in March to ensure it does not report negative net worth - liabilities exceeding assets - for a second year running. Back-to-back years of negative net worth would result in a delisting from the Tokyo Stock Exchange. Given regulatory approvals could take over six months, the company has been hoping to reach a deal by the end of the month to ensure it can close the sale by end-March.